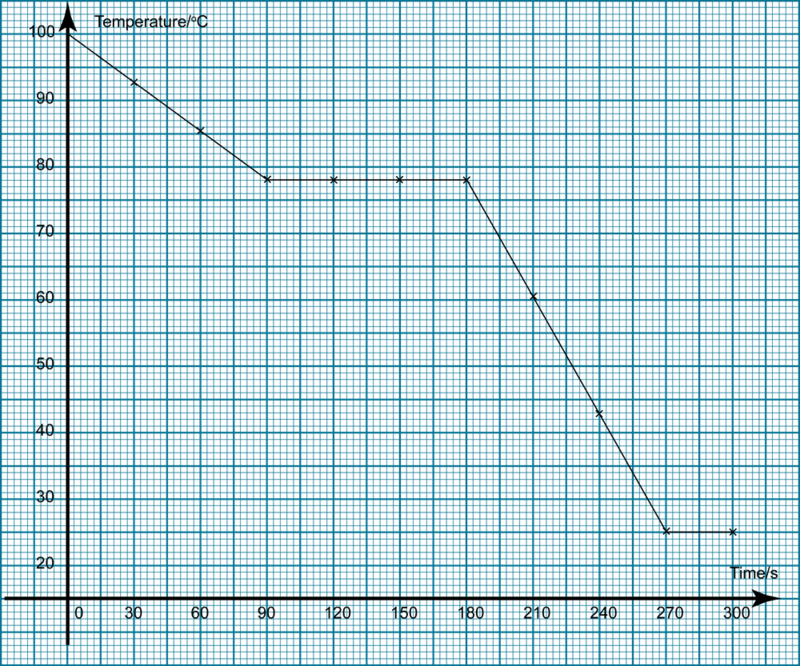 Determine the freezing point of liquid naphthalene from the graph. 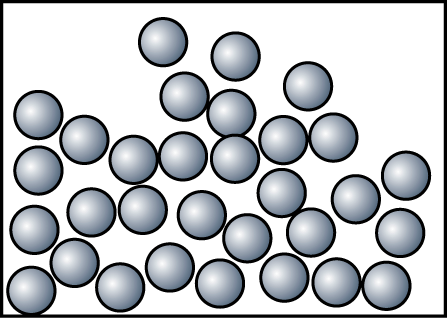 Draw the particles arrangement of naphthalene at c.i. and c.iiic. i. 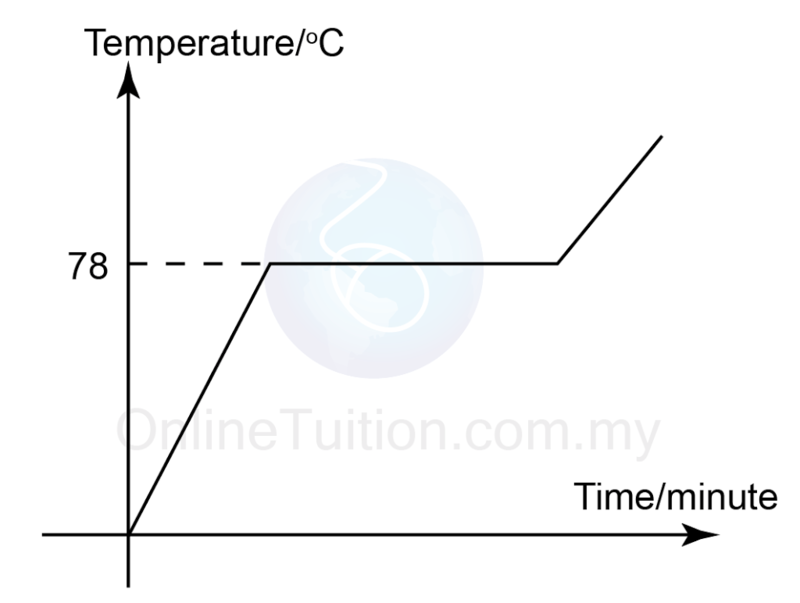 Explain why the temperature remains constant between 3 and 6 minutes? From the time 90 second to 180 seconds, naphthalene is freezing. 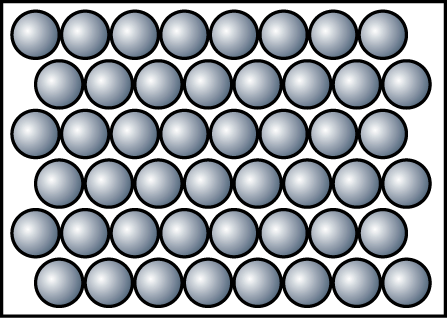 During freezing, bonds are formed in between the molecules and energy is released. The energy lost to the surrounding is compensated by the energy released from the formation of the bonds. 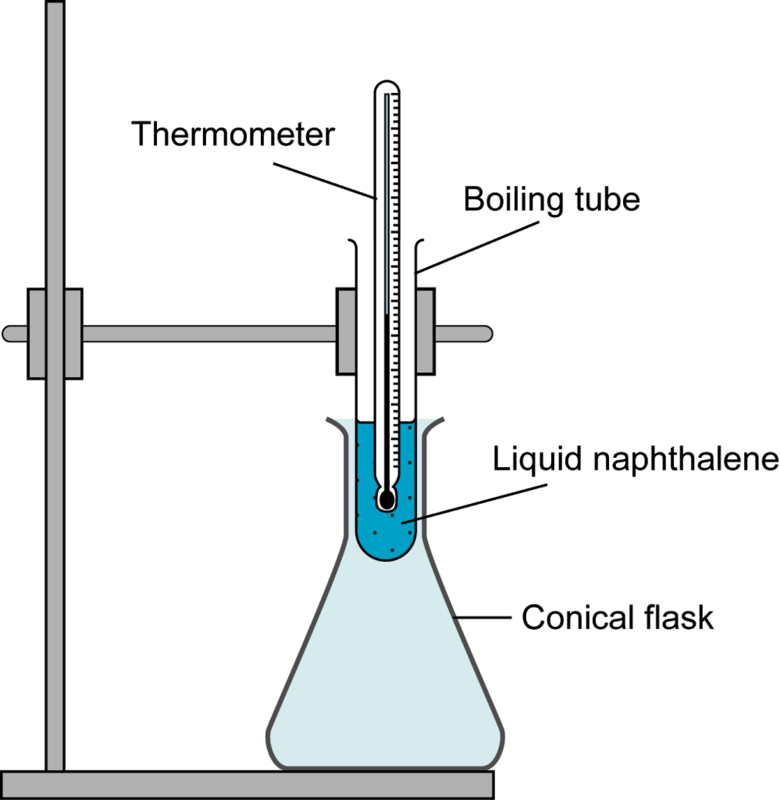 Explain why the boiling tube is placed inside a conical flask during the cooling process. To ensure constant cooling at a slow rate for naphthalene. This can avoid supercooling. Give a reason why naphthalene needs to be stirred continuously during the process? Will the melting point of naphthalene differ if it is contaminated by other substance? Sketch a graph obtained when solid naphthalene is heated from room temperature (25°C) to 100°C.